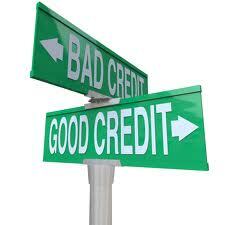 Home › Bankruptcy › How Will Bankruptcy Affect My Credit Score? Filing for bankruptcy is never an easy decision and is usually the path sought as a last resort by those in dire need of help. Many people who seek a free consultation with an bankruptcy attorney often want to know how bankruptcy will affect their credit score moving forward. I generally tell people that I am not a credit agency so you may want to talk to them about how they report your credit and what they take into account. With that said, I can offer some general insight. If you are like most people who are considering filing for bankruptcy, then you probably do not have stellar credit to begin with. If you have been fighting to keep your self afloat but have been unable to keep up with your scheduled payments, then filing for bankruptcy might surprising increase your credit score. This is because in a chapter 7 bankruptcy, all of your unsecured debts are wiped out, erasing your obligation to make these payments. This means that you are now current on all of your payments and will continue to be current as long as you stay on top of your credit moving forward. With that said it may be smart to take obtain a new credit card after you file for bankruptcy and stay current on the payments just to help rebuild your credit score. For most people who file for bankruptcy, they will be able to obtain new credit immediately after filing for bankruptcy because the banks know that you can’t file for chapter 7 bankruptcy again for 8 years. This makes extending you credit a good risk. further for most debtors they will be eligible to buy a car soon after filing for bankruptcy, and can even buy a home in 2-4 years from filing for bankruptcy. If you have additional questions regarding how bankruptcy will affect your credit score, give Symmes Law Group a call today at 206-682-7975 to schedule your free consultation. ‹ Where Should I File Bankruptcy?